Lizzy Knits - Day by day! : Scrappy New Year! Woop! I have totally given up on blogging every day over here, I just don't have the motivation anymore, so please excuse the long breaks inbetween each blogpost. Anyway! It is 2015 suddenly, not only that but it is my birthday as well! Nothing exciteing happening today though, I'm just gonna stay in, craft and enjoy my pizza. I haven't really done much important crafting at all this year...or at all since I came back from visiting my parents over the holiday. I just couldn't get myself to focus on anything cause I was stressing too much with crafts before christmas, I couldn't find time to stop and breathe and do something for myself. So this past week I've done nothing but scraps. I've spent DAYS working on my Granny Bacon eternity scrap blanket. Just look at all of the scraps I still need to work into it! It's so much! 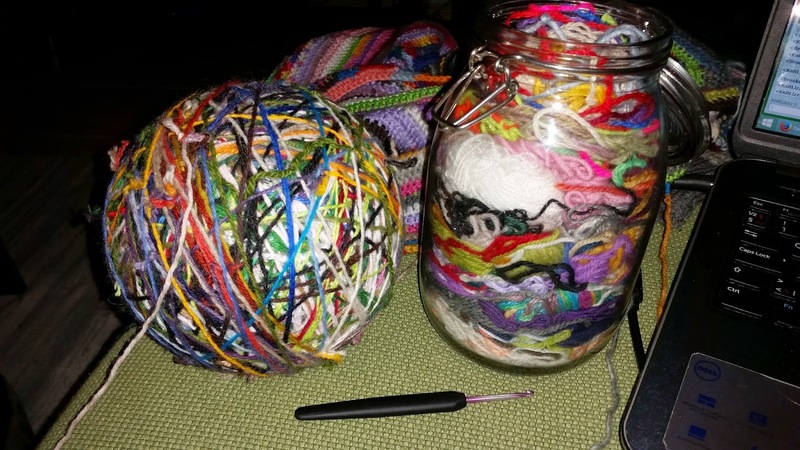 I haven't touched the blanket since summer, and the scraps have just been builing up, so much that I've had to get a bigger container for it...henche the glass jar. So far, I've managed to work about 9 rounds into my blanket since I started just before new years eve. The reason why it has taken so long, is because I'm russian joining them all together. 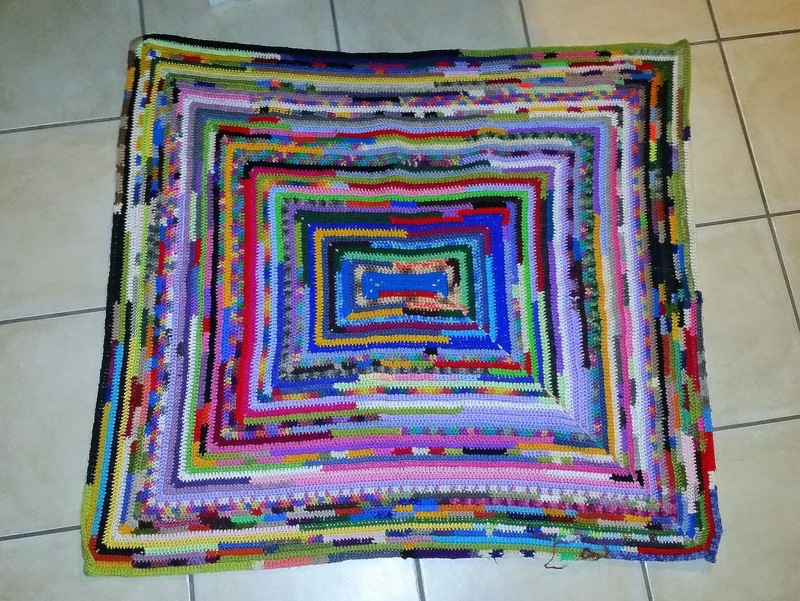 That limits me to use scraps that's from 30cm (11,8") and up, when I've used scraps from 10cm (3,9") and up before. So I need to measure them all up and toss out the ones I can't use. All of the shorter ones, I've collected in a bag and I might use them for a scrap yarn bowl. Trying to use every single bit of scraps. 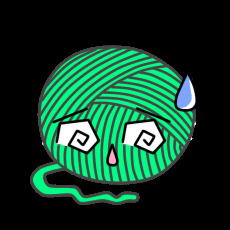 I hate tossing yarn away, no matter the lenght or quality. So I'm also using the longer scrap bits in a certain wool weight for a different scrap blanket. 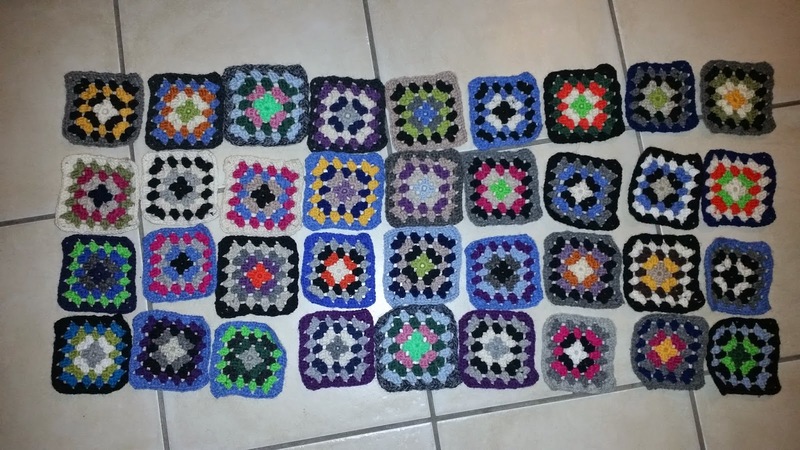 A normal granny square blanket. I've got tons that I need to work up on this end to, it all just keeps piling up and makes my whole crafting nook like a mess. There's also very few bright colours on these...so far. 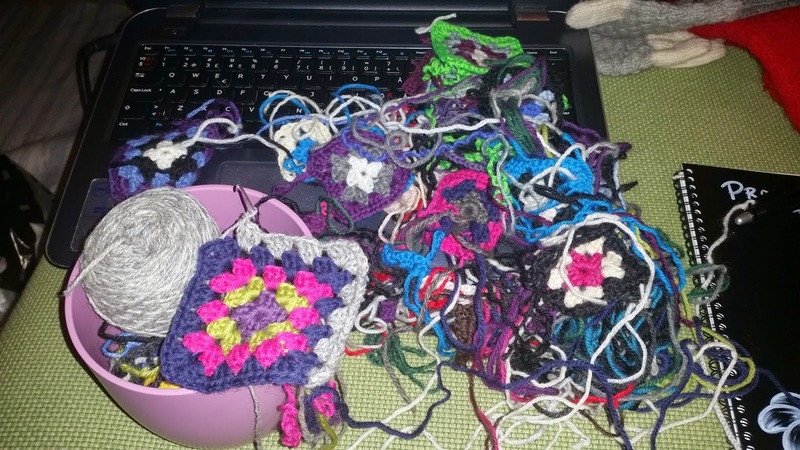 Might be a very gloomy granny square blanket. 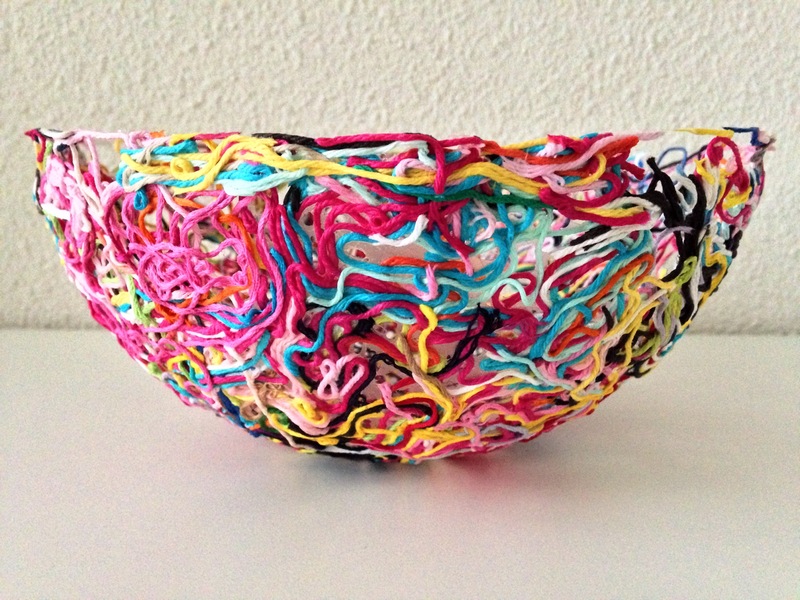 There's loads of scraps to get from these for my Granny Bacon blanket as well, so they kinda flow into eachother. AND EVEN AFTER ALL OF THIS!!! There's the bag of leftover yarn from the mystery advent scarf... I need to do a couple of sock pairs and so on from those though...but I need to sort them all out so I can use the smallest ones for these two blankets.